At Beverly Hills Market & Deli, we understand that you can't always find time to come in and do your shopping. That's why you can order your groceries by phone and we will provide home delivery service within a 3 - 5 mile radius. 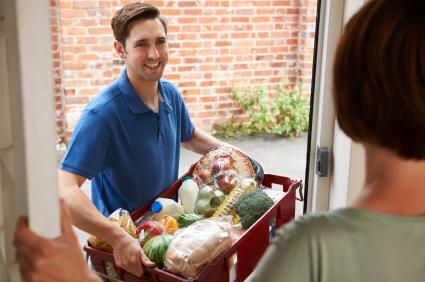 Call us and order today!Beverly Hills Market is your neighborhood grocery store providing convenient delivery to your home Monday thru Saturday.Order by 1pm for your fresh produce, meat, cheese, wine and general store item delivery. We will find your requested grocery items, pack them and deliver them directly to your home that same day!As your neighborhood food delivery service, we pride ourselves in providing hand-selected, fresh, local products as well as your traditional general store items at your convenience.It's a convenient way to shop: just provide us with your grocery list, and we'll take care of the rest!